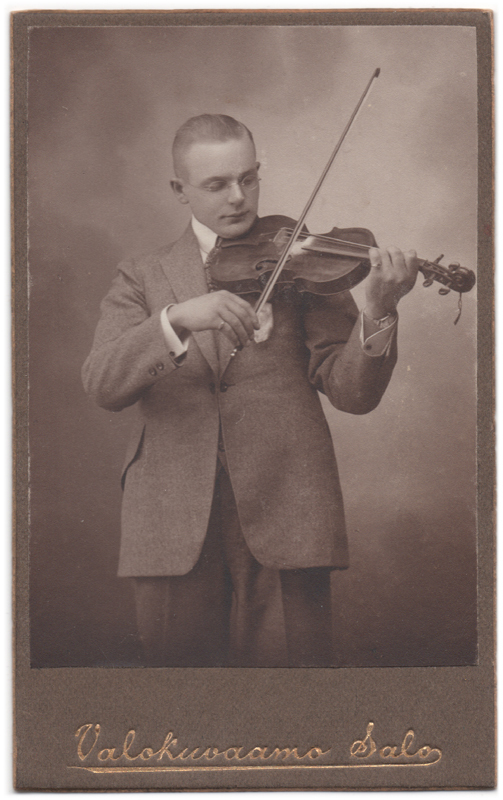 A photograph of a man playing the violin with his eyes closed, his expression serene and focused at the same time. His thin-framed eyeglasses are only just visible in the picture. A wrist watch peeks from the cuff of his left sleeve, and on both of his little fingers he is wearing a ring. The identity of the man is unknown. The picture has been taken in photography studio Valokuvaamo Salo in Salo, Finland, most likely at some point during the 1920’s.